FOR INDUSTRY Bring me onboard to fit-out or style your space for display, events, photography or media. I work with architects, designers, builders and developers. FOR HOMEOWNERS Call me to consult on your new or existing interior... from large or small jobs and special occasions. Creative concepts to images for websites, social media, advertising, new-product launches and seasonal releases. Ask me to pull together a team or I can work with your existing team. Words and editing across magazines or brochures – online or print. While I specialise in homes, design and profiles, I write across all genres. Also talk to me about social media content (words and visuals), marketing initiatives and magazine (online and offline) start-ups. 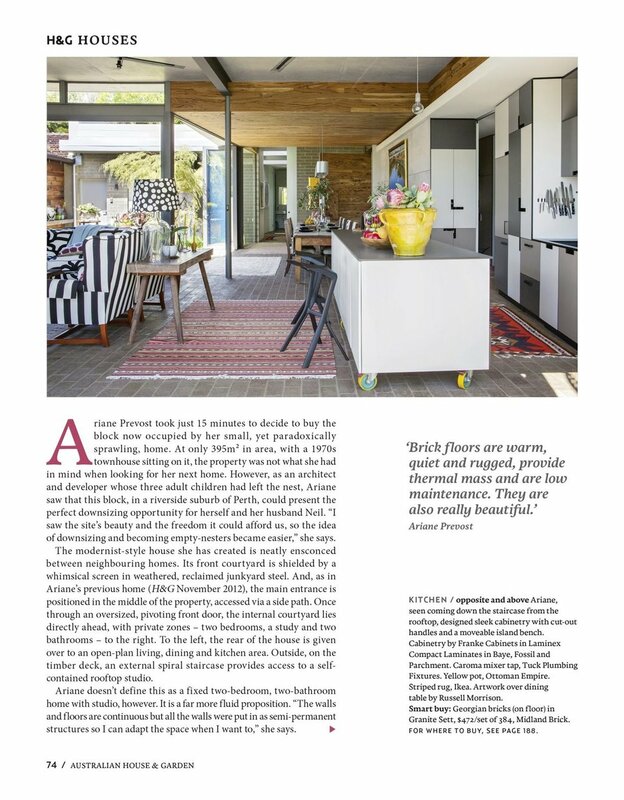 Published in Australian House & Garden magazine.